With approximately 343,000 employees in over 200 countries, Siemens is one of the world’s largest producers of energy-efficient, resource-saving technologies and a leading supplier of systems for power generation and transmission. In large-scale enterprises such as this, warehouse administration challenges employees with rigid demands. A great number of storage areas with several products coming in and going out at any given time require precise management. The more movement within the warehouse, the harder it is to keep track of operations and maintain accuracy. Siemens had to confront this issue in its warehouse in Nuremberg, Germany. The company wanted more flexibility to make warehouse processes easier and reduce operating time, ultimately preventing unnecessary additional costs. Previously, employees manually performed several time-consuming steps to assign production orders to storage bins in the SAP program. Siemens wanted to simplify the process for employees and ensure secure data capture using bar codes. Using requirements of faster, easier processes and secure data capture, Michael Powell, the head of order processing at Siemens, contacted Systemhaus SA.SS. Datentechnik AG, a solutions specialist in printing and identification technology. SA.SS Datentechnik AG recommended the Memor X3 mobile computer from Datalogic as the hardware solution that would best fit the company’s needs. 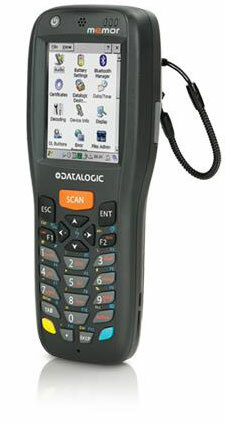 These mobile computers are equipped with a Windows operating system and a 2D imager that captures all barcode types, from linear to stacked to 2D codes, including GS1 DataBar. One of the Memor X3 mobile computer’s greatest advantages is its compact size. This fully equipped mobile computer with touchscreen, Wi-Fi connectivity, imager and large memory fits in any shirt or trouser pocket. Using a Raptool application, implementation took very little time and effort with absolutely no programming knowledge needed. Work processes sped up immediately. To issue a component or production order in the warehouse, the Siemens employee selects a user profile, storage location and storage compartment using the touchscreen of the Memor X3 mobile computer. The employee then uses the “acquisition” function. Only one tap on the screen is needed to go back and forth between the production order acquisition and a component. The Memor X3 mobile computer from Datalogic and the Raptool application accelerated Siemens’ warehouse processes, making them more flexible and efficient. Orders and components are found quickly with fewer steps. The new applications were created without any programming skills needed, as warehouse management is constantly being expanded by new functions. The Memor X3 mobile computer provides sufficient storage capacity for any future extensions as well. The positive results of this solution led Siemens to introduce it at another location with more locations to follow.